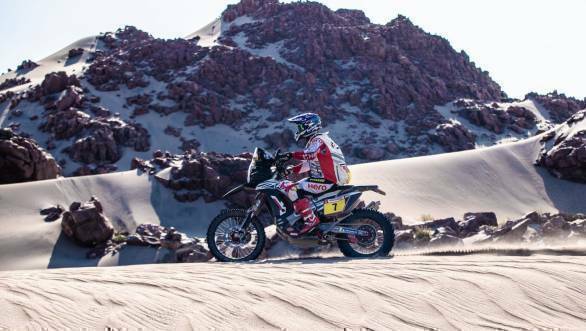 The 2019 Dakar Rally has been challenging for the Hero MotoSports Team Rally outfit, with the Indian rally raid team losing one rider - CS Santosh - on Stage 5 of the event, and with Oriol Mena running out of fuel close to the end of Stage 6. However, the team did well on the seventh stage, reportedly the most difficult stage of the 2019 edition of the Dakar. Ending the stage in 11th position was Joaquim 'JRod' Rodrigues, who managed to record one of his strongest finishing positions of the 2019 Dakar. This allowed him to make up for the difficulties of Stage 6, where he lost time while trying to help his Hero team-mate Mena. JRod's strong finishing position in Stage 7 meant that he managed to move up the overall classification to 24th. Meanwhile, Oriol Mena, who has done well through the rally, even recovering from a nasty fall on Stage 7 of the event, managed to make it to 13th in the stage. 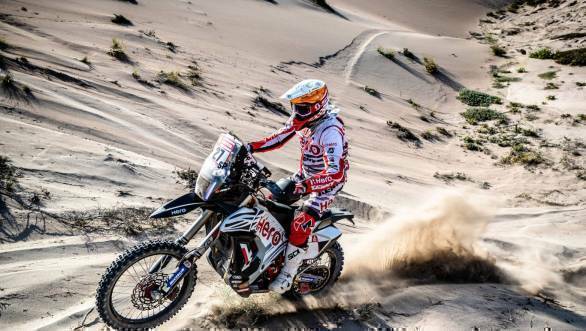 This means that Mena continues to be ranked 13th overall in the 2019 Dakar's Moto class.